(S0611) Have you ever noticed how after several seasons, the once unique aspects of a reality show become tired and stale? Case in point: Survivor. I have no idea why this show is still on the air. I got bored after about two seasons. Yeah yeah, people starve and fight and sell each other out. Yawn. But somehow, no matter how much I hate to love The Bachelorette (and The Bachelor), I just can't stop. 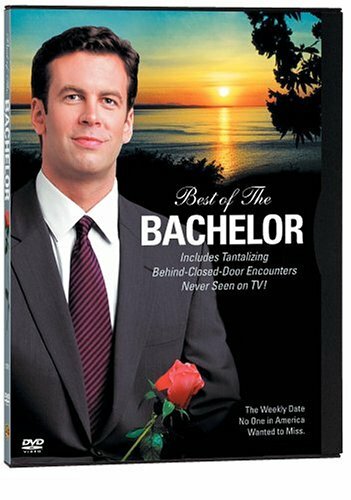 (I can't quit you Chris Harrison!) Now there were a few seasons that I didn't watch (for example, I didn't see the premiere Bachelor season and I didn't watch Season Three with Jennifer Schefft) but something about this show just keeps me coming back. Why? Is it the gratuitous hot tub scenes? No. Is it the awkward over-dressed cocktail parties? Um... no. Is it the show's ever repetitive host Chris Harrison (if he says this is the "most dramatic rose ceremony yet" one more time...)? No. Is it because I love to watch a couple find true love. Umm... okay, no. The real reason to watch: the DRAMA. The fights, the name-calling, the crazy people, and the people who are here "for the wrong reasons." And this season we had not one but two people who ended up leaving the show. First we had the wrestler, Justin aka "Rated R," who had two girlfriends at home and came on the show just to promote himself and reveal himself to be an all-around jerk (which ironically will probably help his image). Awesome. But even better was the man who got away -- Frank aka "the guy with the glasses who looks like Jason Mesnick." He was an unemployed writer who lives with his parents, but had a sparkling personality that won over Ali's heart right away. But while many viewers were sure he was the front runner, he started to get, well, a little whiny. He was insecure, worried that with so many other guys in the picture Ali would be "making strong connections" with someone else. Ali kept reassuring him that she liked him a lot, that he was actually a front-runner, but his feelings wouldn't be assuaged. And lo and behold all of that torment turned out to be classic projection (remember psych 101?). Frank was only worried about Ali's feelings because he was worried about his own! He was the one who was thinking about someone else the whole time. He was the one whose strong connection to someone else was greater than his connection with Ali. Ha! This turned out to be fine for Ali (who after all had formed attachments to some of the other men there). I can't wait to see who they choose for the next Bachelor. And I can't wait to see who the crazy bachelorettes are going to be. Who's going to be there to promote their acting career (and sleep with a producer)? Who's going to get a tattoo forever marking her as a crazy bachelorette? And I can't wait to see how Bachelor Pad is next week. Bring it on! Ali invites the final two bachelors to Tahiti to meet her family. The New York Times: Closing its highest-rated season since 2004, “The Bachelorette” attracted 11.6 million viewers with the two-hour finale of its sixth season on Monday, according to Nielsen’s estimates, helping ABC dominate the night. Reality TV World: The Bachelorette runner-up Chris Lambton says he's not sure he's interested in serving as the star of the next edition of The Bachelor, despite widespread support for the idea. "Honestly, it's something that I'll have to think long and hard about because it was hard watching, you know, so much of my personal life and intimate details of like dating and love on TV," he told reporters during a Tuesday media conference call that followed Monday night's The Bachelorettefinale broadcast in which Ali Fedotowsky got engaged to Roberto Martinez and rejected Lambton. E! Online: The adorable little blonde who was praised and squawked at right and left for choosing work over Jake (not so dumb now, is she?) went ahead and made her feelings known the second she knew. "I'm in love with somebody else," she ended up telling Chris before they'd had any fun in the Tahitian sun at all. "I have to let you go here and not wait until tomorrow."